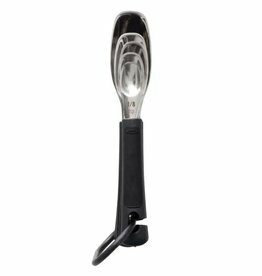 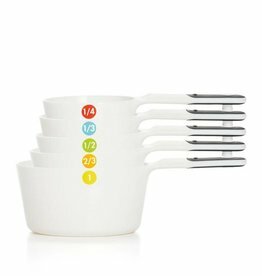 The Measuring Spoons Set has a fanning feature that allows you to take out the spoon you need, leaving the rest neatly snapped together. 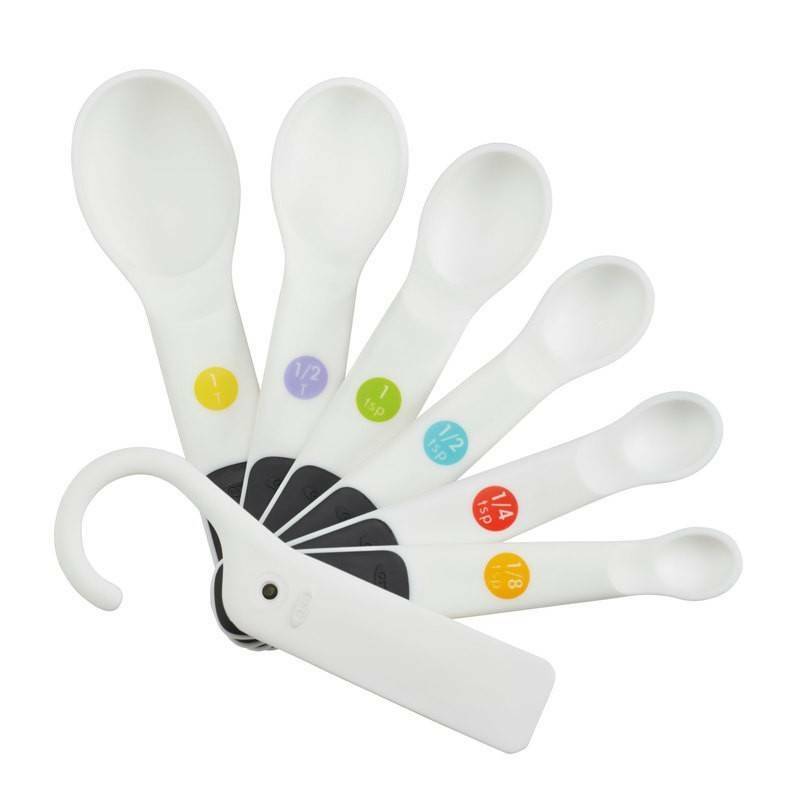 Handles have soft, comfortable, non-slip grips and color-coded, easy-to-read measurement markings. 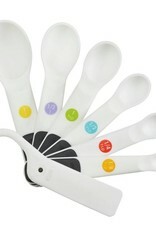 Spoons rest flat on countertops to prevent tipping.